Malaysia is the 12th most competitive nation among 60 economies in the World Competitiveness Yearbook 2014 report by the Institute for Management Development (IMD) of the World Competitiveness Centre in Lausanne, Switzerland. The ranking is an improvement from the 15th position last year and the nation's best performance in the last four years. Malaysia continues to be ahead of the UK, Australia, Finland, New Zealand, Japan and Korea. 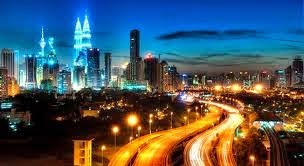 In the category of countries with gross domestic product (GDP) per capita less than US$20,000, Malaysia remained at the top among 29 economies. Among 29 countries with populations above 20 million, Malaysia improved to the 4th position from 5th last year. In ASEAN, Malaysia remained at 2nd and in the Asia-Pacific region, Malaysia is ranked 3rd among 13 countries after Singapore and Hong Kong, representing an improvement from 4th place in 2013. "In government efficiency (15th ) and infrastructure (25th), Malaysia maintained its position. For the economic performance and business efficiency factors Malaysia continues to be in the top 10 among 60 economies with a marked improvement in international investments and ranked 7th instead of 14th last year," Minister for International Trade and Industry Datuk Seri Mustapa Mohamed said in a statement yesterday. He said: "They expect to see better performance in the next three to five years as more government initiatives begin to bear fruit."